I’m currently working with Zack Grossbart (a self proclaimed maths nerd and coder by profession) on his game ‘7 Bridges‘ a puzzle app based on a famous maths problem. The big difference for me though is that the game is completely open source, which means I can talk about it and my contribution openly! It also means my audio is bundled with the game under a similar open source licence. Given the game’s unique setting and circumstances I took an equally unique approach to the audio which I’ll detail in a later post once the game is complete. Watch this space! In the mean time follow the links for more info and check out the GitHub project page to see the game. Pingback: Zack Grossbart’s 7 Bridges gets an update. | PJ Belcher Pro Audio. 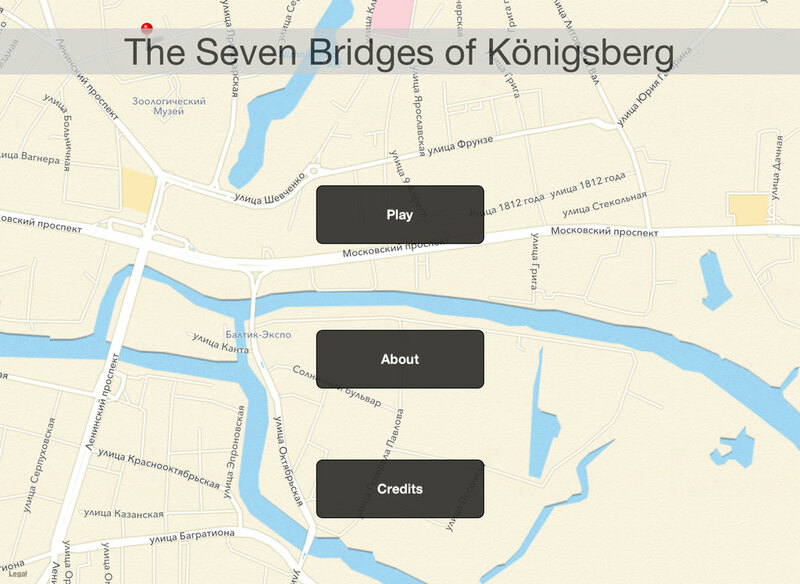 Pingback: The Seven Bridges of Königsberg gets released! | PJ Belcher Pro Audio. Next Post Games Eden Xmas Quix 2012!